Hello friends! 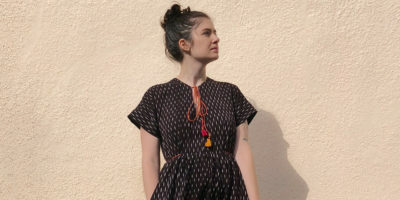 I’m Rachael Anne Allison, avid dressmaker and home sewist. You can find my makes over on Instagram. 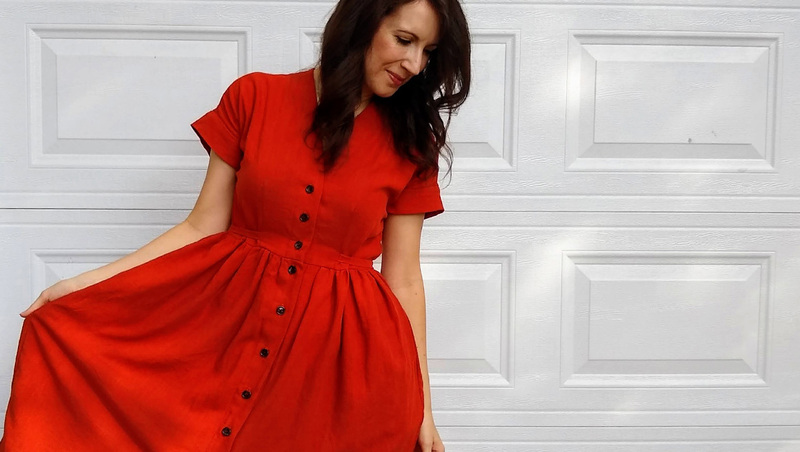 Today I’m so excited to share my Fringe Dress hack: a button front tutorial! 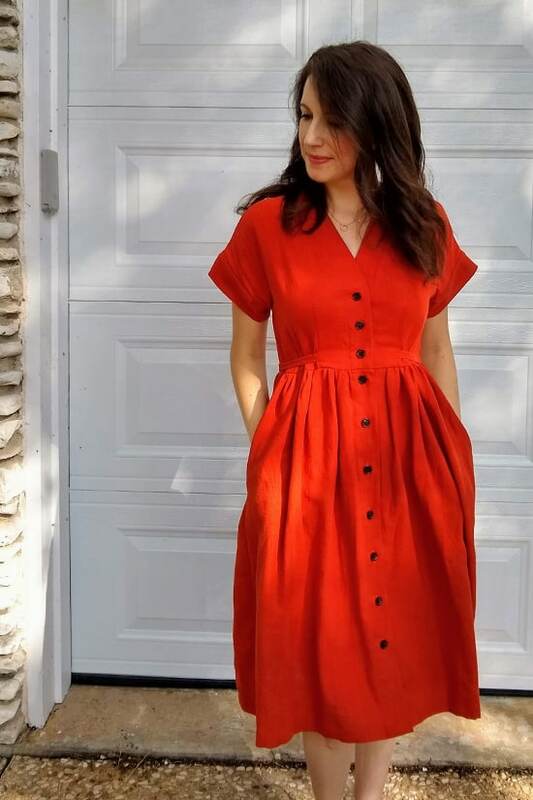 This dress has me dreaming of autumn leaves swirling around my feet and crisp air blowing through the trees while I sip on hot tea. 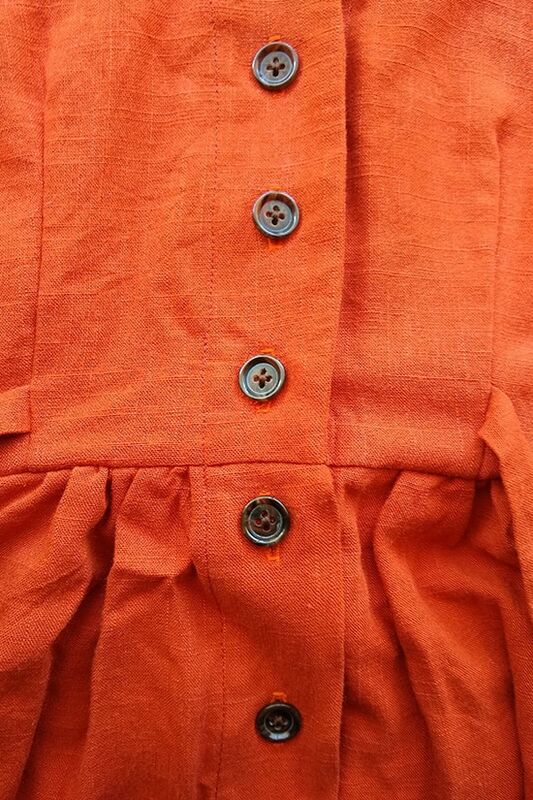 The color, the buttons, the shape of this dress…I can already feel fall coming! I had so many ideas for hacking this pattern (see my board for more inspo! 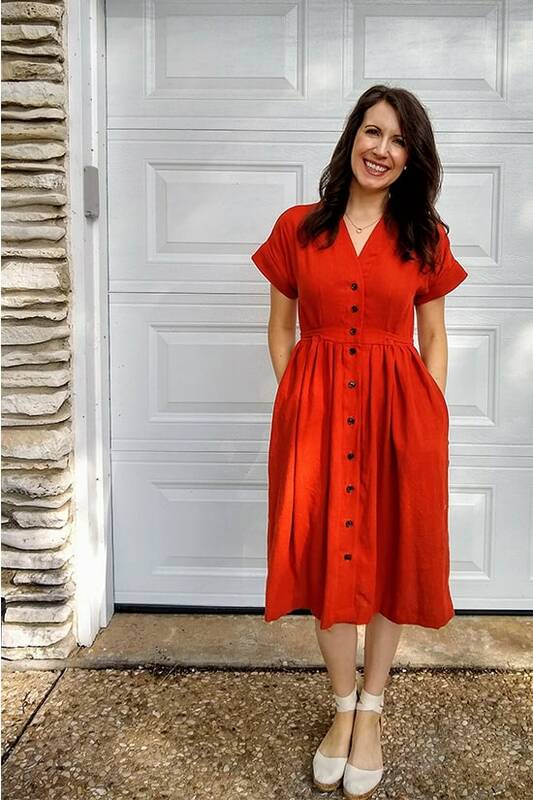 ), but in the end I landed on one of my favorite looks: a full button front dress. 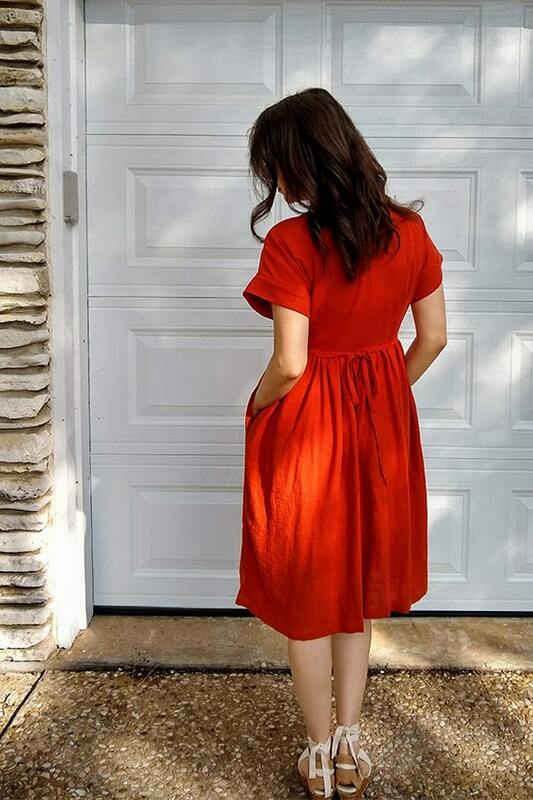 It’s so chic, classic, and makes me want to frolic in a pumpkin patch with a chai tea. This is 100% hemp fabric I purchased at a small shop in Thailand. 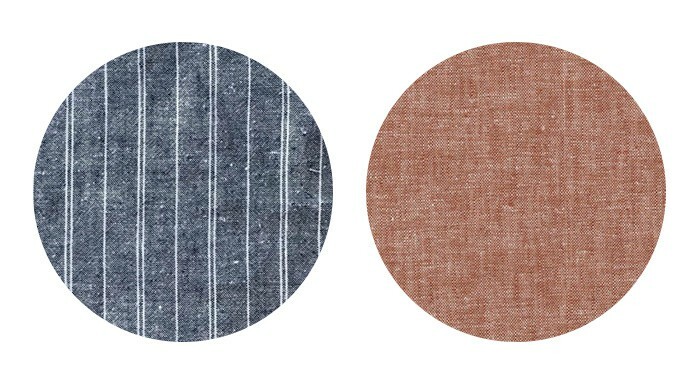 I don’t have a source for it, but there is some lovely striped hemp at Imagine Gnats, as well as Brussels Washer linen, which is a similar weight. Buttons are from Joann. The best news is that this hack is super simple. Here’s how I did it. 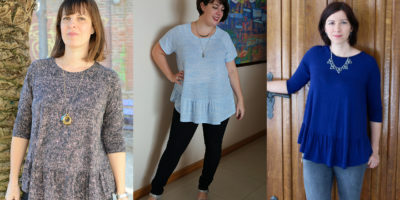 To get started you will need the Fringe pattern and full tutorial from the Chalk and Notch Shop. 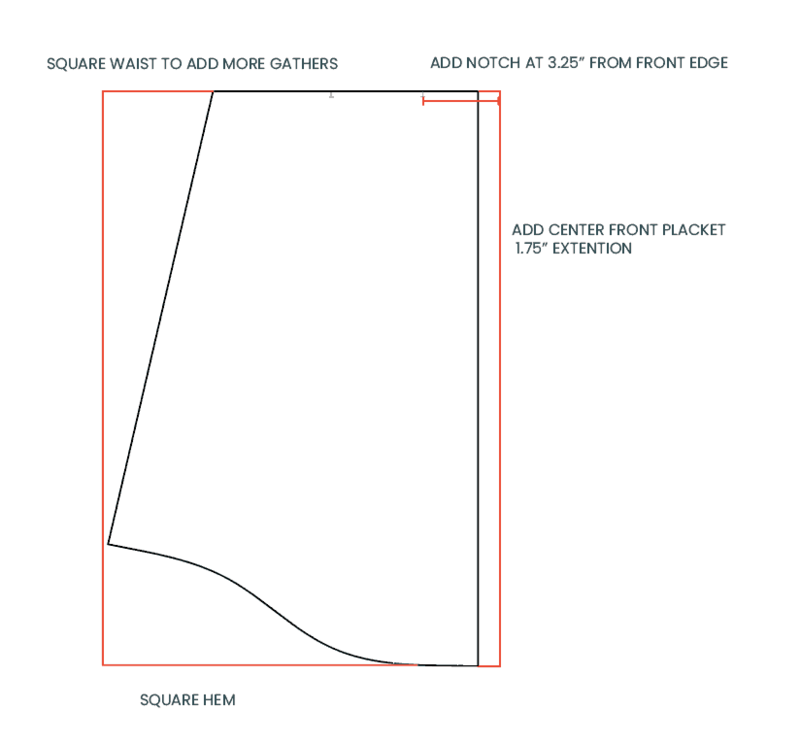 When cutting, add 1.75″ to the center front. This extension matches the width of the bodice facing. Add a notch at the waistline 3.25″ from the cut edge. This is where you will start and stop the skirt gathering. Optional: square waist to add more gathers. (I prefer a fuller skirt, so I added a few extra inches for more gathering room). I also squared off the hem of the skirt with a ruler and chalk. Square off the waist and hem of the back skirt too. Construct the Fringe bodice as described in the original sewing instructions. After step 9 (when you understitch the facing), sew the bodice side seams. You can continue to add the sleeves. Set aside until you sew the skirt. 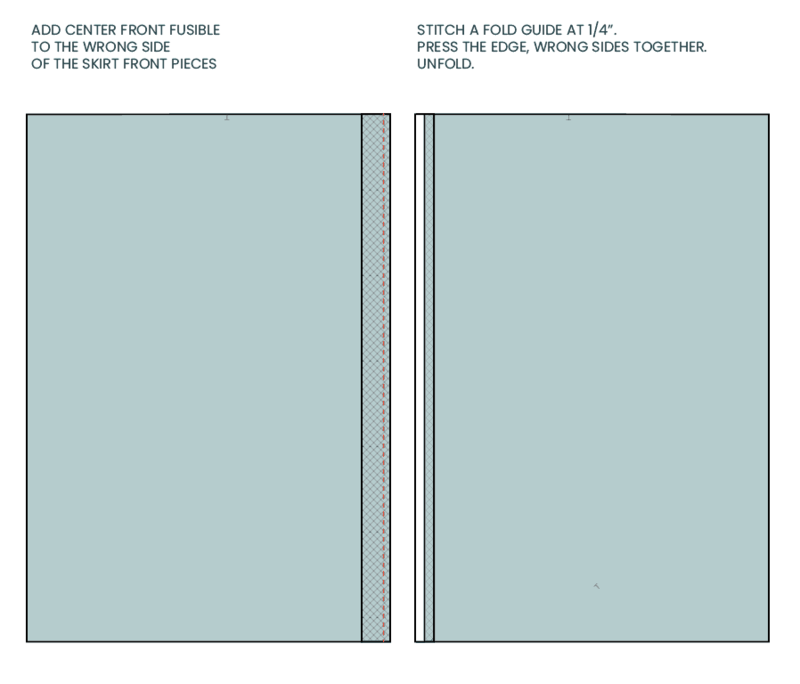 Remember to cut 2 front skirt pieces (do not cut on the fold). 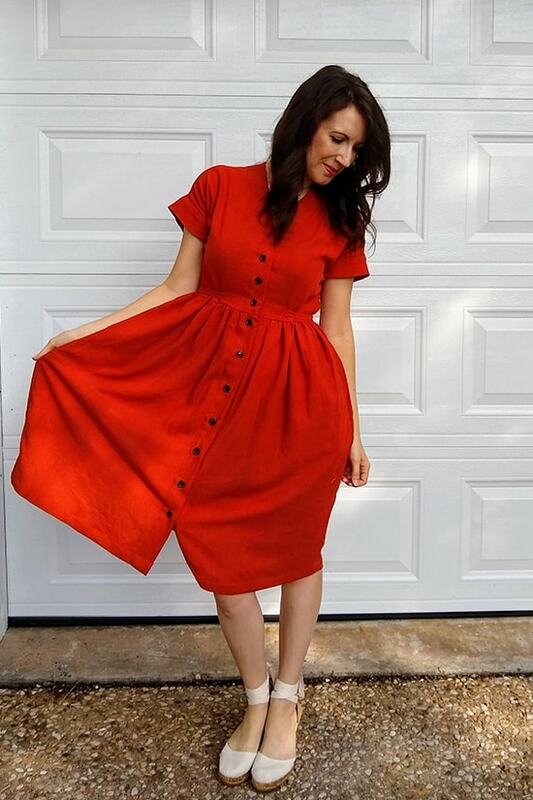 Cut a 1.75″ wide strip of interfacing the length of your skirt and add it to the wrong side of the center front of your skirt. Stitch a fold guide at 1/4″. Press the edge, wrong sides together. Unfold. Alternatively, you can overlock this edge instead. Sew the skirt side seams. 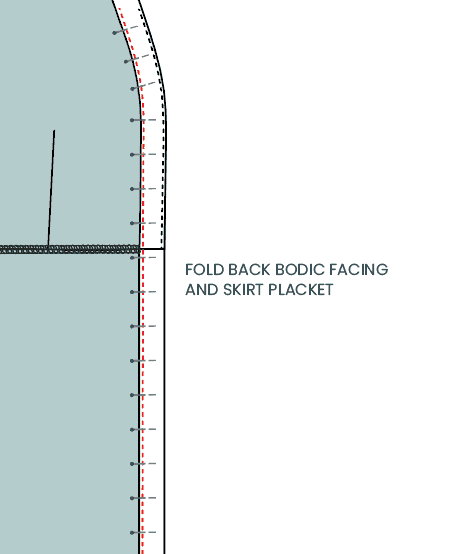 Gather the skirt waistline starting at 3.25″ from each cut edge (where you added a notch). With right sides together, pin all the way around, matching the center back, side seams, and placket seams on skirt and bodice. You can adjust your gathers to match. Sew the waistline and finish the seam. Press the seam up towards the bodice. Press the bodice facing/skirt placket back (wrong sides together) at the seam (or fusible edge). Pin the facing/placket in place. 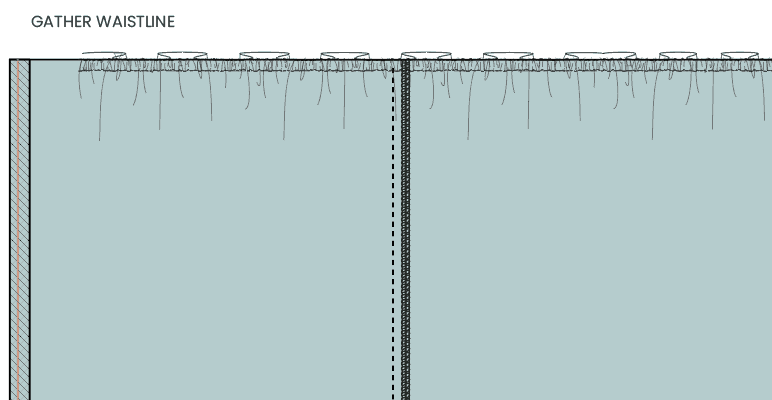 You can tuck under the previously folded edge 1/4″ or leave the overlocked edge exposed. I personally chose to do slightly different spacing on the bodice and skirt. The jury’s still out on whether this was a great decision, but I’m quite happy with it. I wanted the bodice buttons to be closer together for modesty’s sake, and I wanted the skirt buttons to be a bit more spaced out, so as not to weigh the skirt down. Whatever you choose, just be sure to space them evenly. Thanks for stopping by, you can print this tutorial as a PDF DOWNLOAD HERE. I can’t wait to see your take on this Fringe Hack.